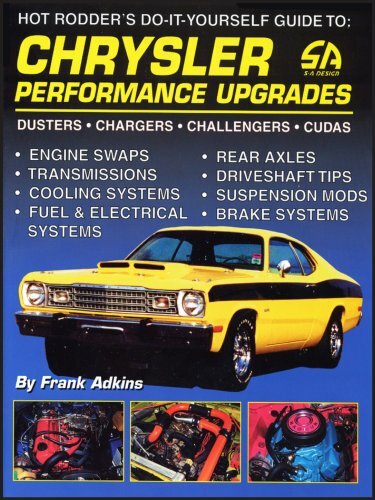 Product Description: Written for the "nuts and bolts" level Chrysler enthusiast, this book covers virtually every aspect of performance improvement including engine swaps, suspension upgrades, transmission mods, brake improvements, rear end interchanges, etc. Ten chapters cover all aspects of performance improvement on Chrysler muscle and performance cars of the '60s and '70s. Included is information on installing an electronic ignition and electronically regulated charging systems for vehicles not so equipped.